Superfood – Flaxseed Oil – sneak it into your diet! Following our series of super foods, this time we are taking a look at Flaxseed – a tiny seed that can pack a big punch. 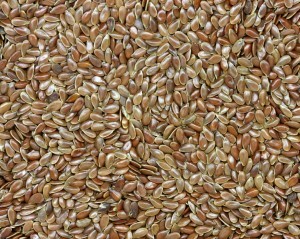 Flaxseed is made up of omega-3 essential fatty acids, lignans and fibre, amongst other things. The alpha linolenic acid (ALA) in flaxseed oil has been shown to contribute to the maintenance of normal blood cholesterol levels. We all know how hard it can be to get our daily fix of essential vitamins, especially when you have to remember to take them independently of your three meals a day. Which is why it is so good to know that flaxseed oil can be incorporated into your every day meal. Here are a few recipes which include flaxseed oil that are simple, quick and easy to make or check our top 3 recipes below. Pour the mix into the frying pan with the cooked chicken and stir for 20 seconds. Drain the spaghetti and mix the chicken and pesto in with the spaghetti. Salad Dressing – for any day of the week! So, there you have it – getting your daily fix of flaxseed oil with all the benefits of omega-3, lignans and fibre working on your cholesterol isn’t that hard especially as it is so easy to include in your meals. Which means that flaxseed oil is a supplement that you don’t need to take – just sneak it into your diet!